A mere week before Myst spiritual successor Obduction was scheduled to release, Cyan's delayed it until August. “Crowdfunded games” and “delays” go together like two peas in a dumpster the community would like to set on fire, so it should come as no surprise that Obduction, Cyan’s long-awaited Myst spiritual successor, is being delayed yet again. But still, pushing the game back a mere week before its scheduled release? It stings a little. Anyway, you’ll have to wait another month to start pulling levers, cranking gears, and decrypting codes. Cyan’s Ryan Warzecha announced this morning that the studio is moving the game from its planned July 26 release date (already the result of previous delays) out to August 24. So yeah, August 24. That puts it a bit close to Deus Ex: Mankind Divided for my comfort but maybe the overlap in fans isn’t huge, as they’re fairly different games? Hopefully this is the last delay, in any case. We’ll have a review as soon as we can get our hands on the game. 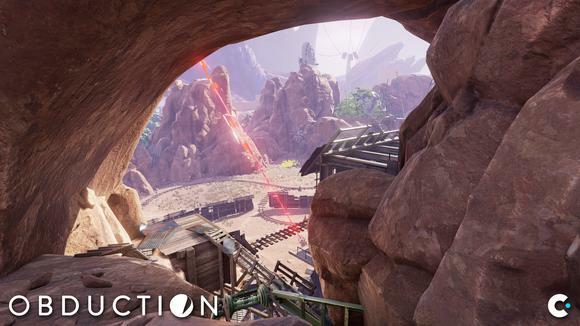 For now, you’re welcome to check out our Obduction hands-on preview, or the sneak peek we took at Obduction’s VR capabilities during E3.